Havana, Cuba Fall/Winter 1996. 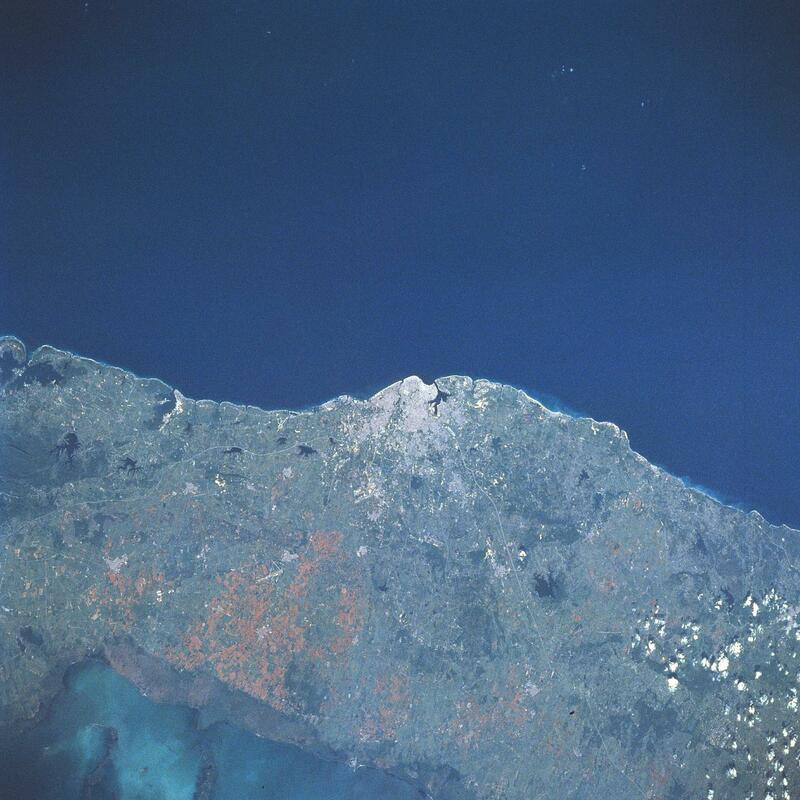 Located at the center of the image, the capital city of Cuba, Havana, can be seen in this near-nadir view. Havana, the largest populated city in the West Indies and one of the oldest, has one of the best ports in the Western Hemisphere. Exports include sugar, cigars, tobacco, and coffee. Most of the citys residential areas are located in the low-rolling hills terrain to the west and south of the city. To the southwest of Havana (16 miles, 25 km), the main north-south runway (light, linear feature) of the Jose Marti International Airport (midway between the center and bottom left) is discernible. The Straits of Florida covers the upper half of the image. The Gulf of Batabano is visible in the lower left portion of the image.